I dont know about you, but I find it interesting discovering what super food properties certain foods contain. I have been reading a book to Burton and Jenson about eating and how our bodies absorb food, and how it gives us energy, helps our bodies to function etc.. and it is all rather amazing really. I don’t know about you, but there are some days when I have not planned what we will be eating for tea. I go into the kitchen about half an hour before I know the boys will be asking me where their tea is because they are hungry, and frantically search the fridge and cupboards trying to think up something tasty that they will both like. 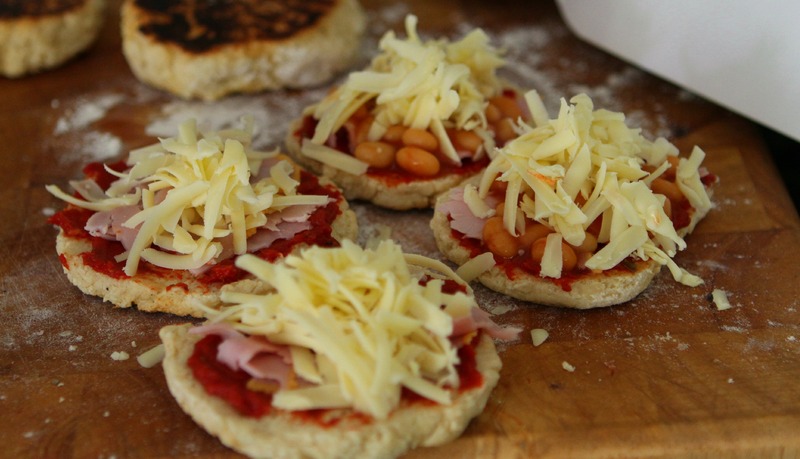 Last night was such a night, and so in the end I decided t make some homemade pizzas, but as I did not have any muffins or flatbread to hand in my cupboards, I found a recipe for some mini damper bread rolls and thought they looked a bit like english muffins, and would therefore make a great base for child size pizzas. 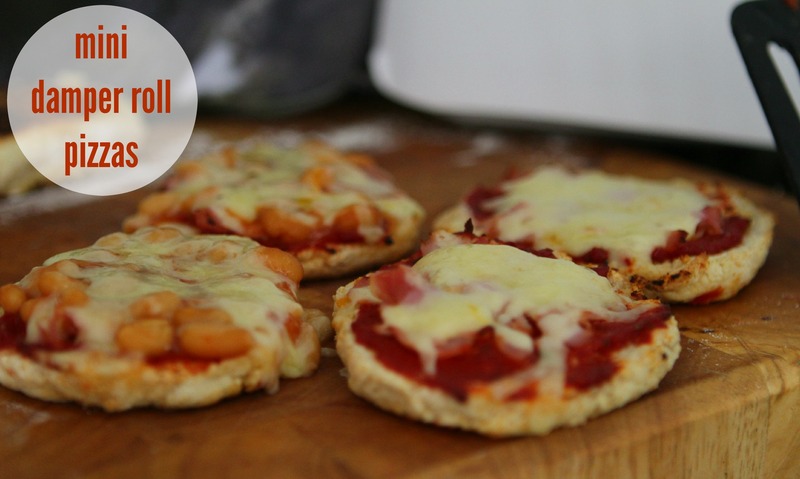 The damper rolls only take about 10 minutes to make anyway, and by the time the topping is on them and they are cooked in the oven and transformed into mini pizzas, the whole process takes about 25 minutes – perfect timing I would say! Especially because right on cue, a certain Master Jenson appeared just as the pizzas were removed from the oven, telling me he was huuungry! 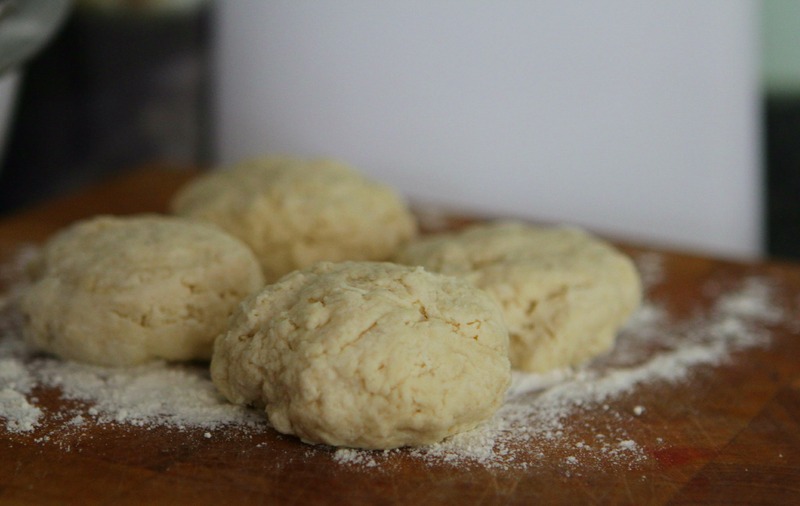 After about 10 minutes, a crust should have formed and when you tap it, if it is hollow sounding then they are cooked. You want them so that the centre is just cooked. 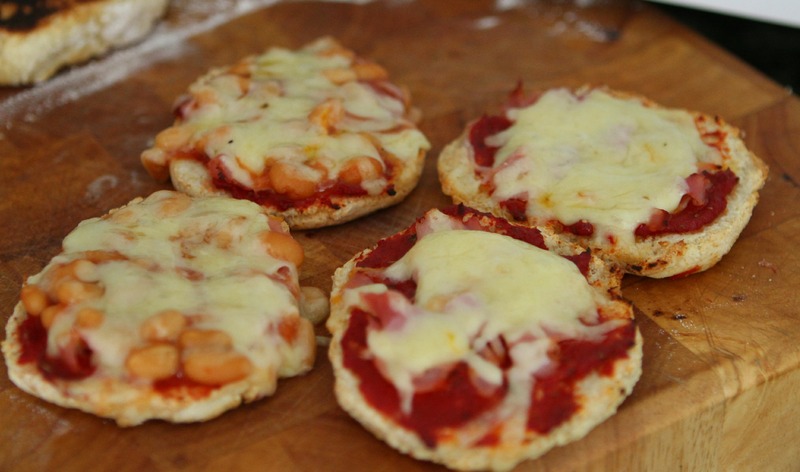 These little pizzas were lovely and the perfect size for Burton and Jenson, and the roll itself was really nice. I will definately make these again because it took no time really, and homemade bases are better really. 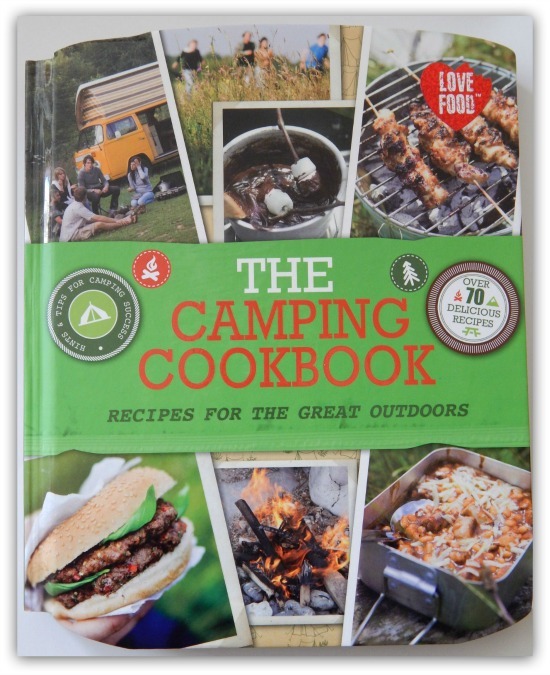 a brilliant camping cooking bible with some womderful recipes in. With more than 70 camping recipes included, this book is brilliant value and a must have for your camping trip menu. 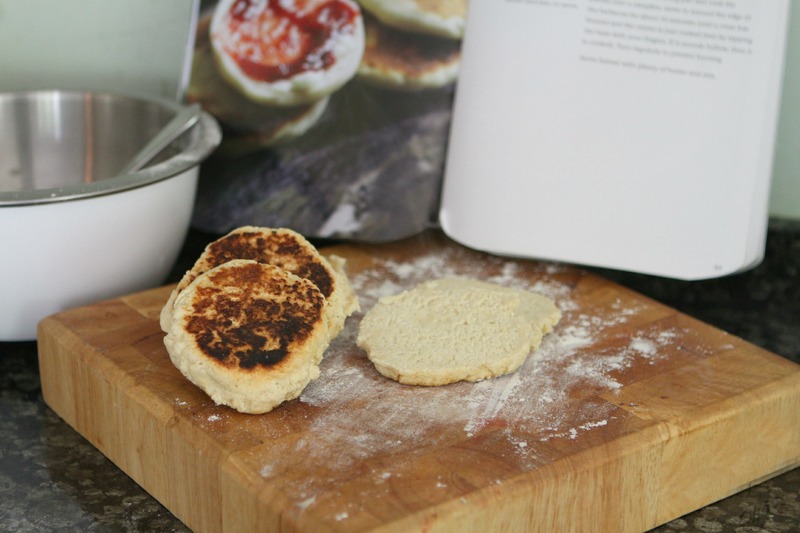 Obviously, these damper bread rolls are designed to cook over a camping stove or a BBQ but they worked well at home in my non stick pan on my hob. I was sent a copy of this book to review as part of my Parragon Book Buddy role. I have recently been sent a selection of good food related books to review, so I have decided to combine them all in a round up post. 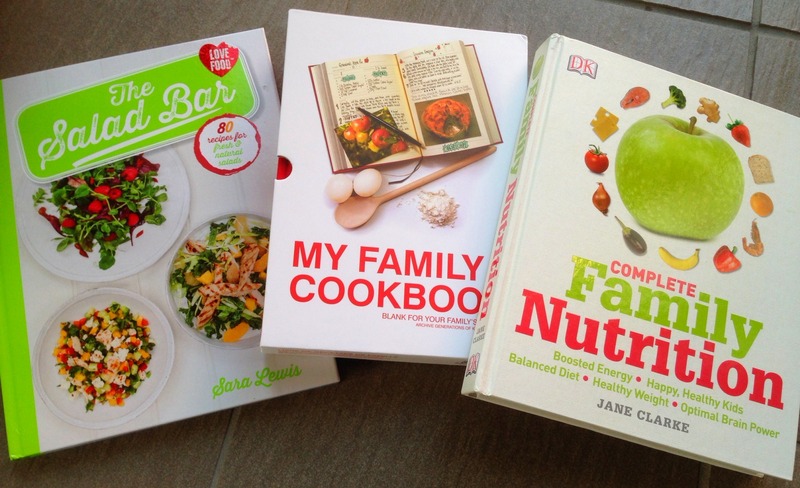 Complete Family Nutrition by Jane Clarke is a wonderful book for a Mum like myself to own. It is so informative and I have picked up so many useful and knowledgeable food facts concerning diet, health and general well being when it comes to how different foods can benefit us from a health and nutirional point of view. The book is divided up into 6 sections so you can easily find the content which is relevant to you and / or your family. 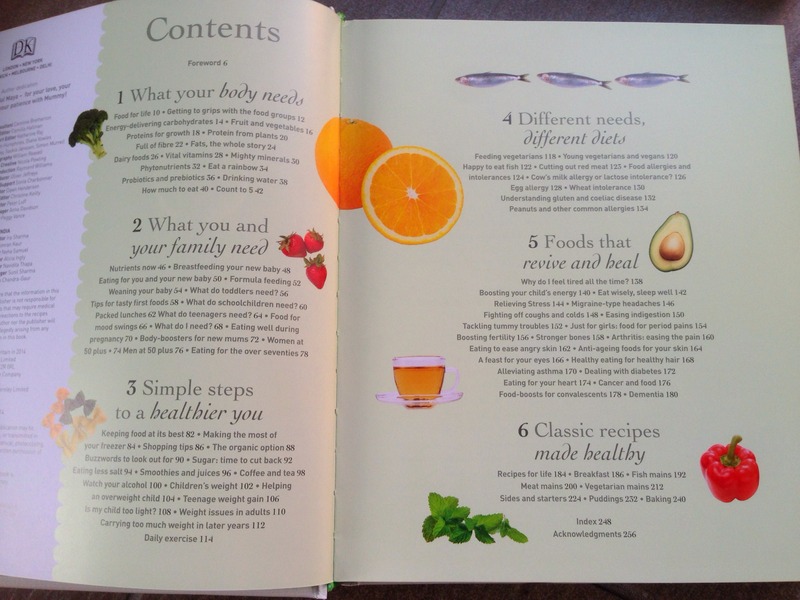 The book also contains a selection of recipes towards the end, with photographs of some of the finished meals too, and each recipe contains a footnote describing its nutritional values and also information regarding what vitamins it includes and what food group it is part of. I have already made the banana ice cream (minus the nuts) for Jenson and cannot wait to try some of the other delicous looking and sounding recipes. 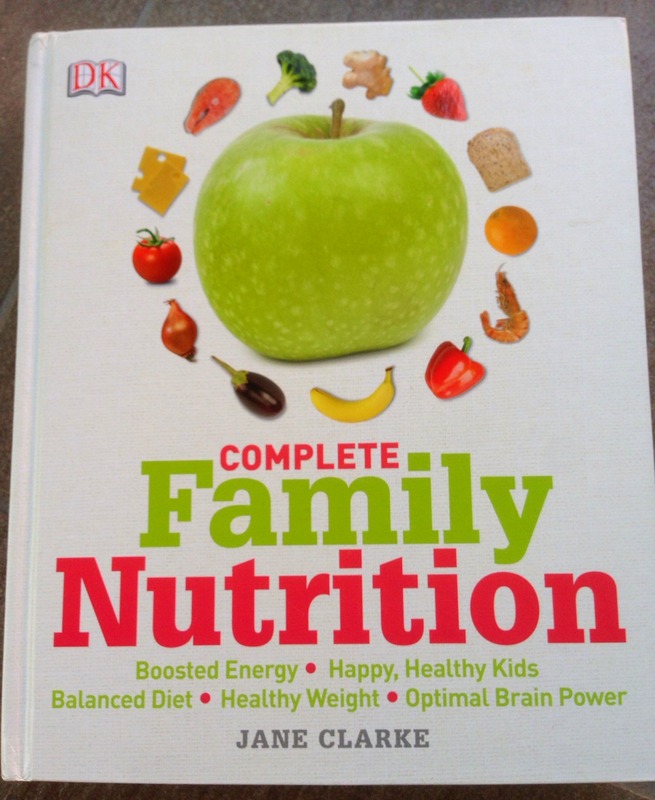 This book really is a family bible of food nutrition and I have found it a fascinating read so far an I know that it will prove to be very useful and something I will refer back to for years to come. Even my Mum wants to borrow now I have completed my review, because she found it very interesting and in particualr cannot wait to read in more detail the chpater on Migraine-type headaches as she has been suffering with them for years, and would love to discover if she could alleviate her symptons by avoiding certain foods, or adding more to her diet. So this is a book worth having I think. 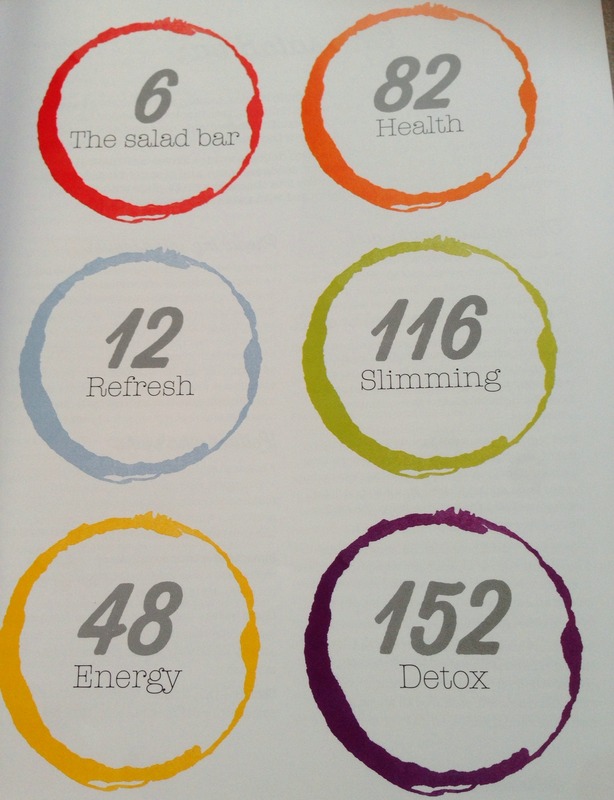 The Salad Bar by Sara Lewis is packed full of recipes for natural and fresh salads – 80 in fact so there is sure to be one for eveyone! Full of so many appetising salads that are vivid in colour and full of nutritional benefits, and some unusual ideas that I have never thought about making before. As the author explains, salads have indeed come along way from the standard lettuce, cucumber and tomato that once made a ‘salad’! 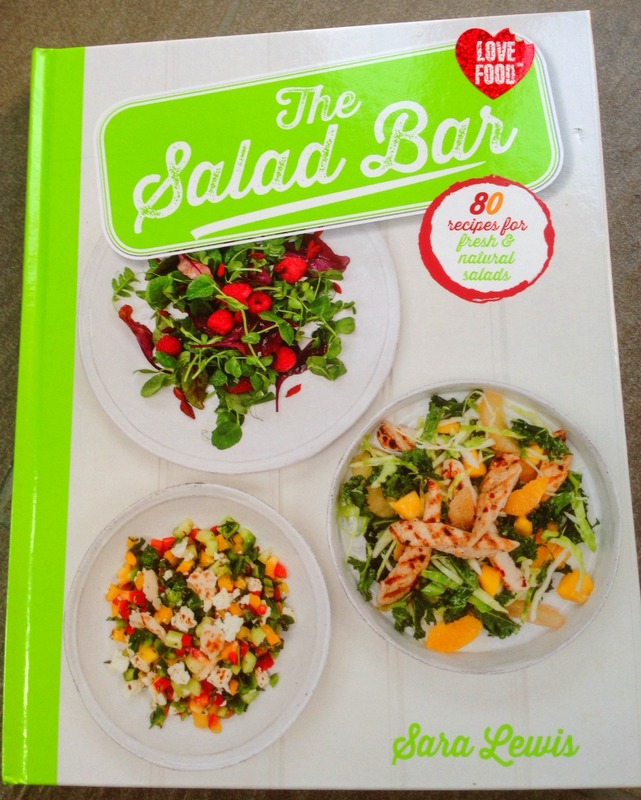 With its bright colours, eye catching salad photography and the useful information regarding the nutrition of each one and handy tips, The Salad Bar is a must for all healthy eaters. 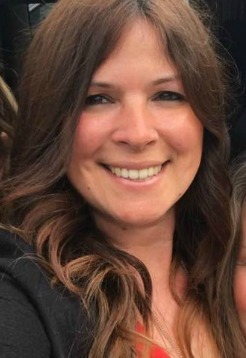 Being a Mum to 2 boys I am very keen to ensure that they both enjoy and get involved in the preparing of our family meals as they grow up. At the moment this is just helping to bake cakes and make sandwiches, little steps, but my aim is to get them cooking meals in a few years. Therefore make them better husbands/boyfriends/life partners when they are grown up and left home, and self sufficient in the kitchen. 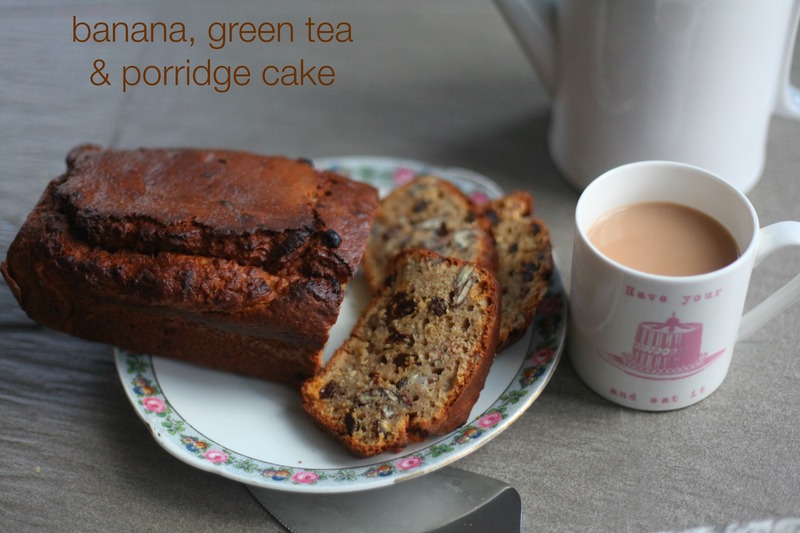 I have a lot of recipes that I cook regularly, and obviosuly a lot of my cakes and bakes are posted on my blog, but it would be lovely to present each of them with a collection of family favourite recipes when they fly the nest and need to cook for themselves. 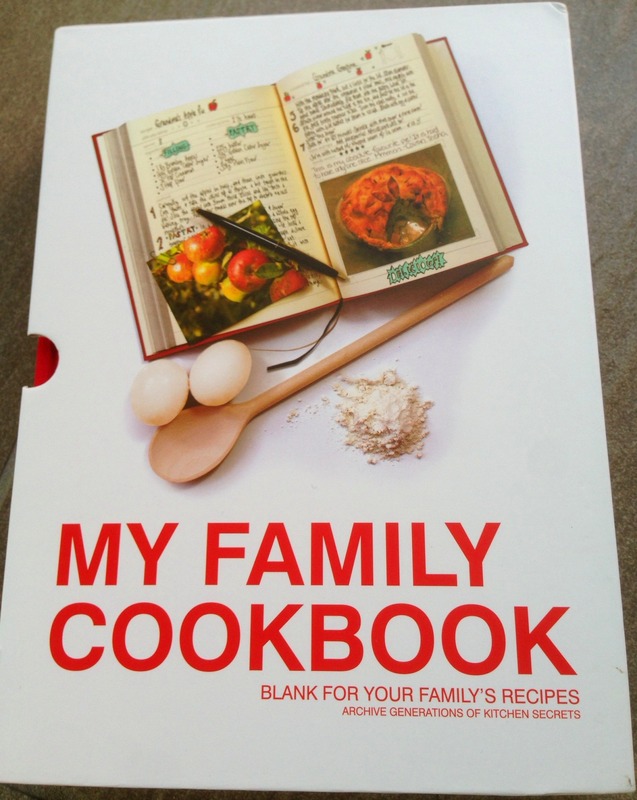 My Family Cookbook is such a wonderful idea. 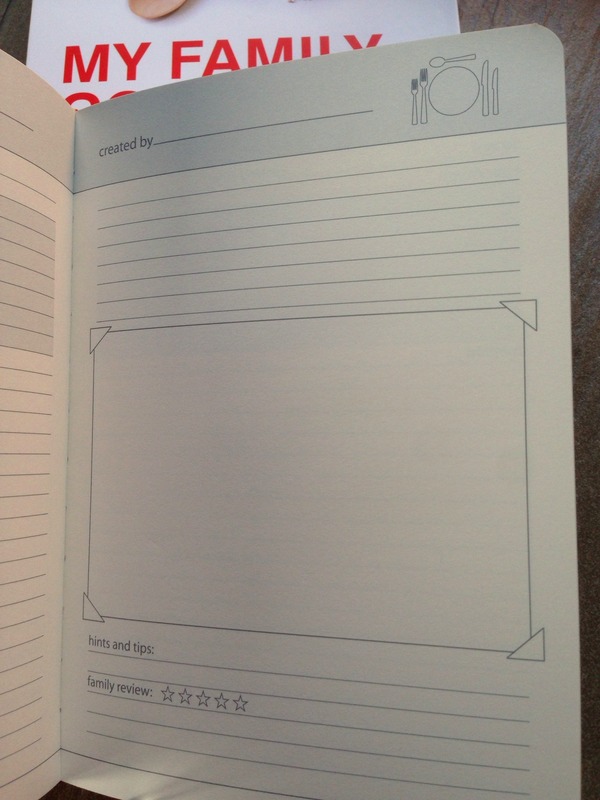 It is a blank cookbook ready to be filled with your own recipes to pass onto your child/children. There is room for 80 recipes and enough room on each page for a photo of it too, and you can even add a star rating for each one! The book is a linen covered hardback book which arrives in a slipcase with ribbon marker and pocket at the back for loose papers. 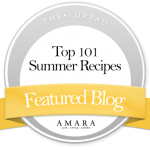 I really think this is a lovely idea and something I will endeavour to do over the years, because I would love to pass on my recipes for future generations of my family, AND besides, I have always fancied writing a cookbook of my own recipes – so here is my chance! I was sent a copy of each of the books featured for the purpose of a review. All comments made about them are honest and my own. So the weather during this half term holiday has not been as amazing as it was during the Easter break, and therefore my ideas for more picnics and playtime outdoors has not gone to plan!! So when I asked the boys last night what they might like to do tomorrow, they asked if they could do some baking, and as we had some family coming over for lunch I thought that would work out rather well. 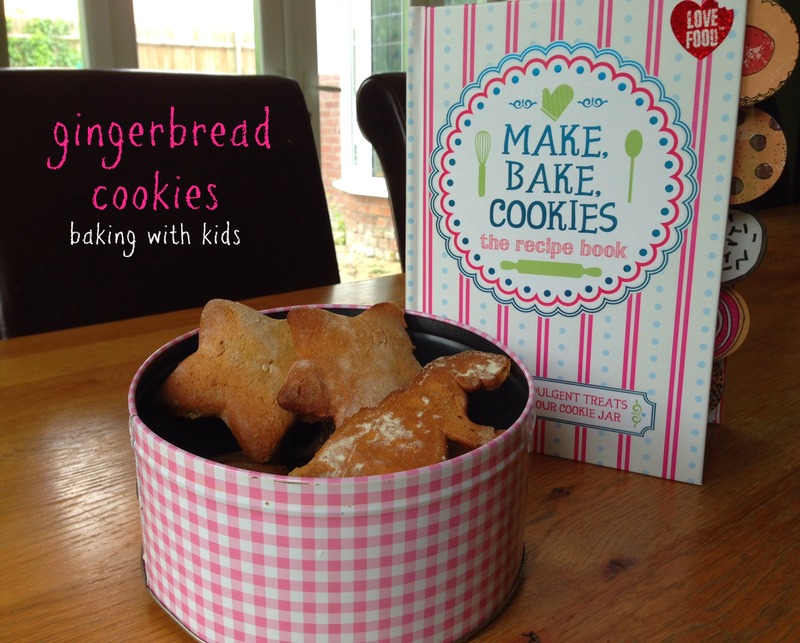 I was recently sent Make, Bake, Cookies the recipe book, which is a gorgeous cook book full of so many wonderful cookie and biscuit recipes, tempting food photography aswell as some useful tips like did you know that if you place 2 sugar cubes inside your biscuit tin, it will keep your cookies crisp? No? Me neither! 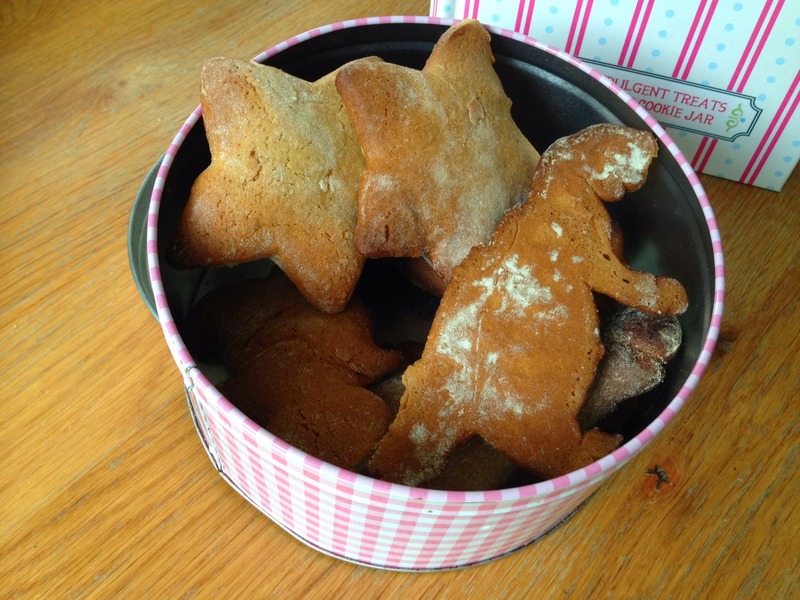 Anyway, back to what the boys made……having looked through the book and in my cupboards I decided to let them make some Gingerbread creations based on the recipe for Gingerbread Men (page 152). I changed the recipe slightly (see below) based on what I did and did not have to hand, and allowed the boys to use cookie cutters of their choice hence the ‘cookies’ name instead of gingerbread. 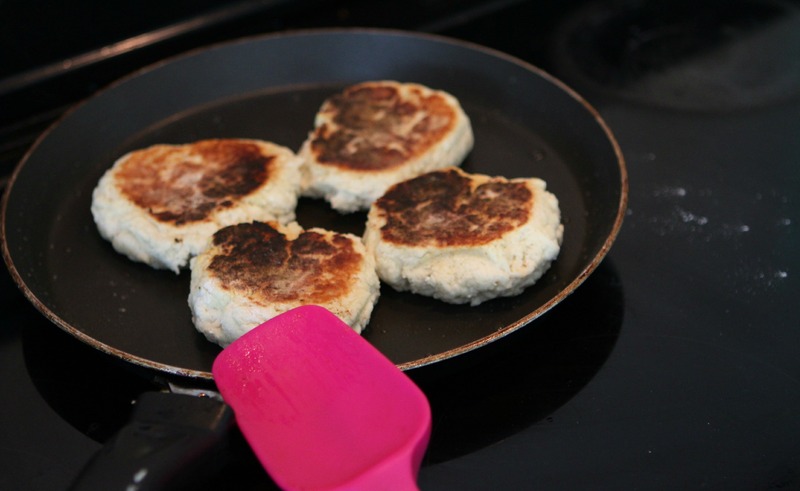 Meanwhile place the syrup, butter and sugar into a pan and place over a low heat and melt together to make a sauce. 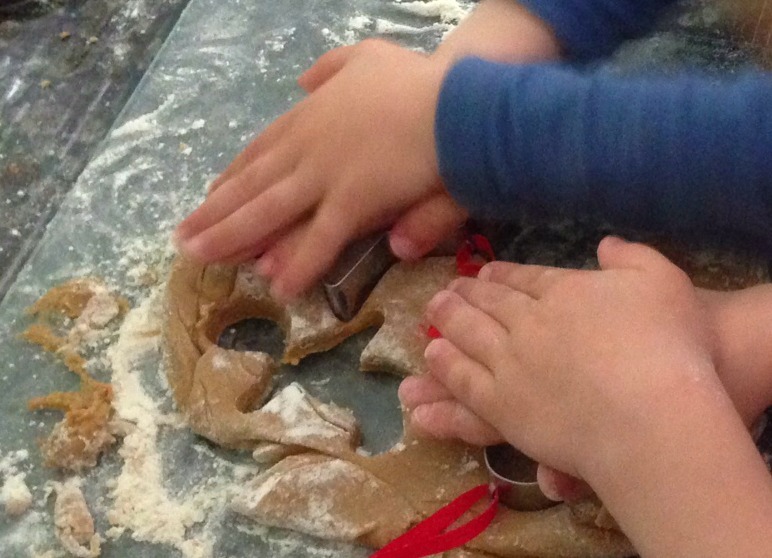 They may not look the best gingerbread creations you have ever seen , but they tasted delicious and the boys loved helping to make them. And because they made them, they were thr best gingerbread cookies I have ever had!! I *may* have left some in the oven a few minutes longer than they should have been, but the others ,that were cooked for the right amount of time, tasted lovely and chewy. Grandma and Nanny enjoyed eating them too. 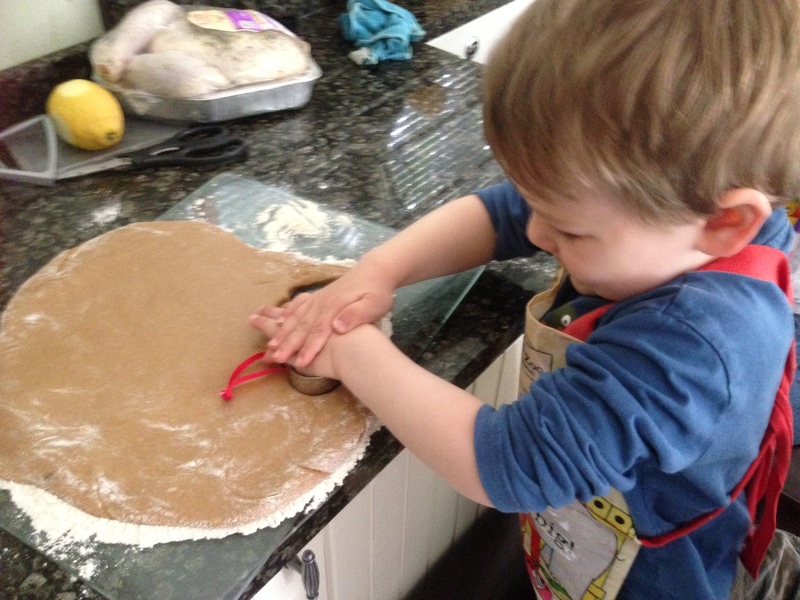 Cookies and gingerbread are a great recipe for kids to bake with as it is similar to using play dough when it comes to rolling out the dough and cutting out the shapes. Burton and Jenson have already asked when they can make another batch! I was sent a copy of Make, Bake, Cookies the recipe book for the purpose of a review.